The 2018 deer archery-only hunting season opens statewide in Tennessee on Saturday, Sept. 22. That is the day we are likely to start seeing news releases about hunters injured, or even killed, following a fall from a tree stand. Hunters all the way back to prehistoric times, have always known that hunting from an elevated position gives the hunter an advantage. Anytime a hunter is in an elevated position, he or she can become “un-elevated” in an instant due to a simple slip or equipment malfunction. Last hunting season there were at least three tree stand accidents in Tennessee, one of them fatal. This in spite of constant warnings and easily available safety harness systems. Recently Summit Treestands released a video highlighting one man’s story. 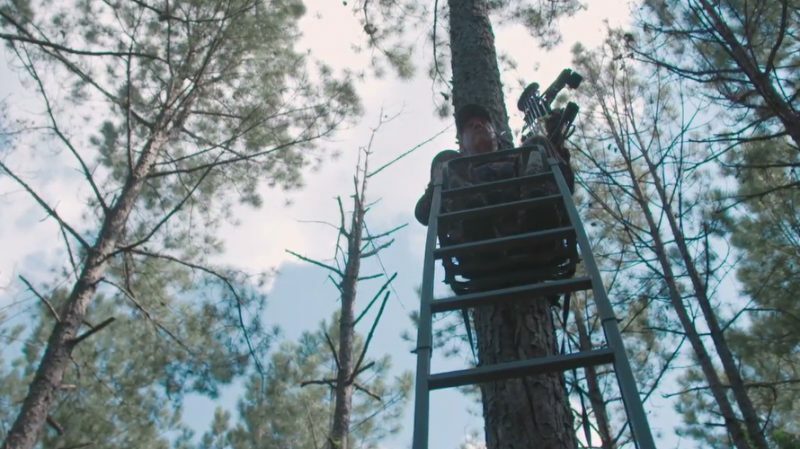 Like most hunters Tim Crawford was excited that October morning as he climbed into his stand. His passion pushed him higher, but without a safety harness. Then as Tim lay paralyzed on the forest floor, he had plenty of time to reflect on life, family and safety. Here’s Tim’s story. The archery season dates in all five of Tennessee’s deer hunting units are the same – Sept. 22 – Oct. 26 and Oct. 29 – Nov. 2. Tennessee is divided into five deer units for better management, A, B, C, D, and L. The antlerless deer bag limits are four in Units A-D management areas and three per day in Unit L areas. The antlered deer bag limit is a total of two for the entire deer season. Archery hunters should read a 2018-19 Tennessee Hunting and Trapping Guide. The guide lists the counties and bag limits for each of the different deer management units. The guides are available where hunting and fishing licenses are sold and on the TWRA website and the TWRA app. Hunters are reminded that they must possess the appropriate licenses and permits. Any hunter born on or after Jan. 1, 1969 is required to carry proof of satisfactory completion of a hunter education class or be in possession of the Apprentice Hunting License (along with other required licenses), while hunting any species in Tennessee.